Check out dance inspired by the Spokane River this weekend. Almost imperceptibly, the four dancers begin to stiffly sway their bodies forward and backward, side to side. Like reeds pushed by a soft breeze, they pitch forward and then suddenly back, but — just as in nature — never in perfect synchronicity. The movement of water — all its rippling, pooling and tumbling over stones — is the inspiration for this contemporary choreography, an interpretation of the Spokane River. Just in time for Earth Day, the members of Vytal Movement Dance Company are performing Confluence: Dances Inspired by the Spokane River. "We did our first major concert last year in May, and after that I thought, 'OK, one of my goals for Spokane is to feel like this is their dance company,'" explains founder and artistic director Vincas Greene. "I think people are scared of dance — it's an art form they think they won't understand, or it's only for people who are raised in it. So the idea that the river is one thing that all of Spokane comes together on... I use that as the subject matter everyone can relate to." Confluence is a dance concert performed in three acts, its choreography and original music inspired by the Spokane River's natural form and cultural significance. One section came to Greene while walking along the river in High Bridge Park. "Small Pools," he says, was inspired by shallow pools of water during summer's lowest flow. Performing these and other movements are Vytal Movement's eight principal dancers, ranging in age from 22 to 30, along with guest artist Angelie Melzer. Confluence's original score was composed by Spokane musicians Margaret Francik and Sy Hovik. Greene, a Cheney native who first dreamt of becoming a dancer watching a performance at Expo '74, founded Vytal Movement in 2016. The company presented its first concert in August of that year and has since collaborated with several other arts organizations. The director's goal for the company is to become a full-time professional dance troupe for adult dancers. 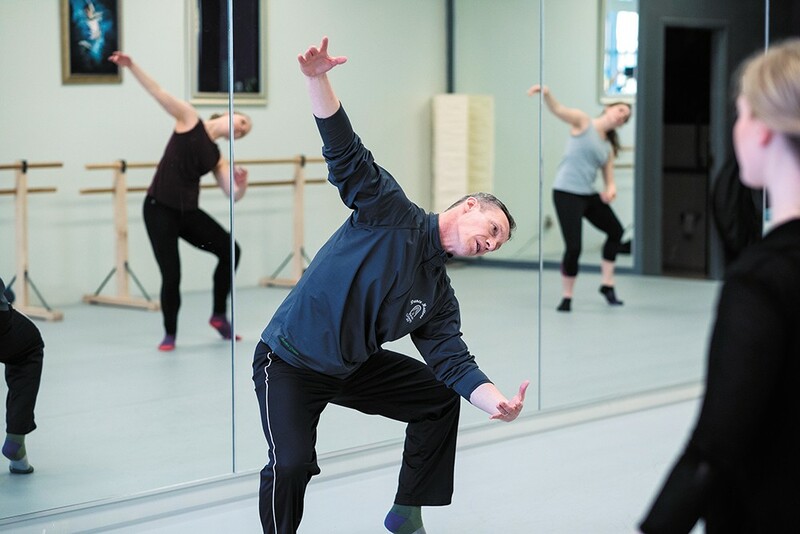 Spokane has not been home to a professional dance company for more than two decades, though Greene acknowledges the city offers many quality studios for youth. The original print version of this article was headlined "Ripple Effect"